Toronto prom limo rentals are very popular for such a special occasion. Traveling in luxury and style ties everything together so you and your friends can have a magical, wonderful, stress-free evening. Whether you plan on hiring a sedan car and driver for your date and yourself, or you need a stretch or Hummer limo to accommodate a large party of people, Toronto Airport Limo has the perfect option for you. You shouldn't have to work hard to find the best prom limo service for your special night. We offer top of the line, late model vehicles at very competitive rates. Not only that, but you can rest assured that our drivers will accommodate your every need when it comes to prom night transportation. Perhaps you're not sure if hiring a prom limo service is right for you. Many students think they can save money by just driving themselves. That is certainly an option, but remember that this is your special night! It more than likely costs a lot less than you might expect for prom limo rentals in the Toronto area. Parents, take note -- this is a cost effective, safe option for your child! This is especially true if you'll be traveling with a large party. You might get sticker shock at the initial price for something like a stretch SUV limo, but once you consider that you can break the price down amongst everyone in your group, you'll be very pleased with the rates! It is more than worth it to travel in style and be the envy of everyone at your prom. We also offer Airport Limousine/Shuttle service for Toronto Airport, Toronto Island/City Centre Airport, Hamilton Airport and Buffalo Niagara International Airport for you, your family and guests. Pick up from One Location to the Prom. Pick up from Prom and back to One Location. This Prom Limo Package gives you the freedom and flexibility without any time restrictions. You will get 2 Hours of service at the Beginning. Make Multiple Stops or Cruise Around. You will get 2 Hours of service at the End. Make Multiple Stops or Cruise Around again and call it a Night. All Reservations are to be paid in full at the time of booking and are Non-Refundable. 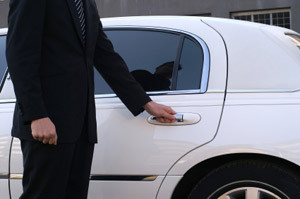 Please Note: Prices quoted are for limousine services for proms within the GTA. Please call or email for more information or a quote for pricing outside the GTA. It is important to book your limo ahead of time. That's because they are so high in demand! It seems that students from all around the GTA know that traveling by limo is an absolute must for this big night. You'll get the best selection (and sometimes the best prices) by booking your limo in advance. Prom limo rentals are essential if you want to impress your date and your friends. You'll have an amazing, safe ride. There is no need to worry that you'll have to drive yourself to dinner, prom, or prom after-parties when you have Toronto Airport Limo by your side. The chances are very good that you'll be amazed at the super-low rates, the abundant options, the customer service, skill of our drivers, and the condition of our top-of-the-line limousines. Whether your party will be large or small, you'll know that you've found the best prom limo service around when you book with us today.